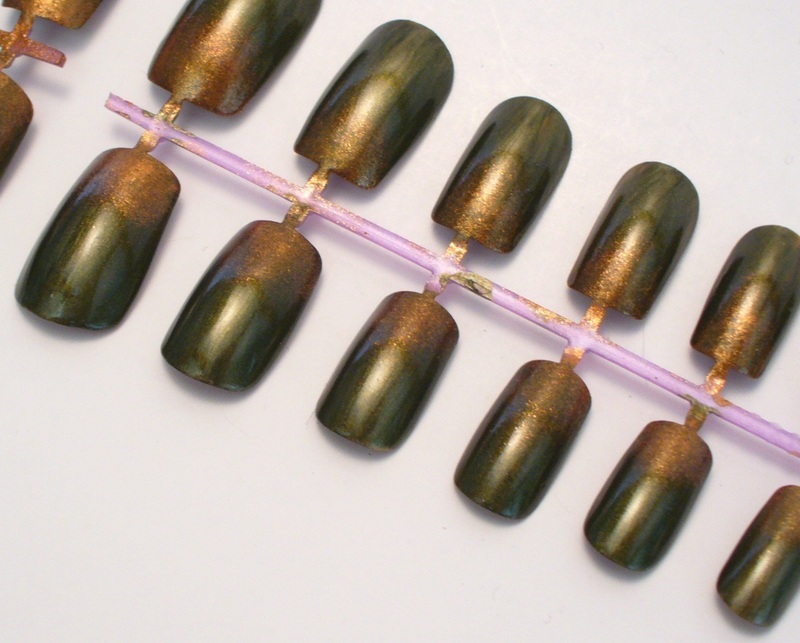 I wanted to share with you my latest manicure, inspired by the colors of autumn, but with a shiny twist! 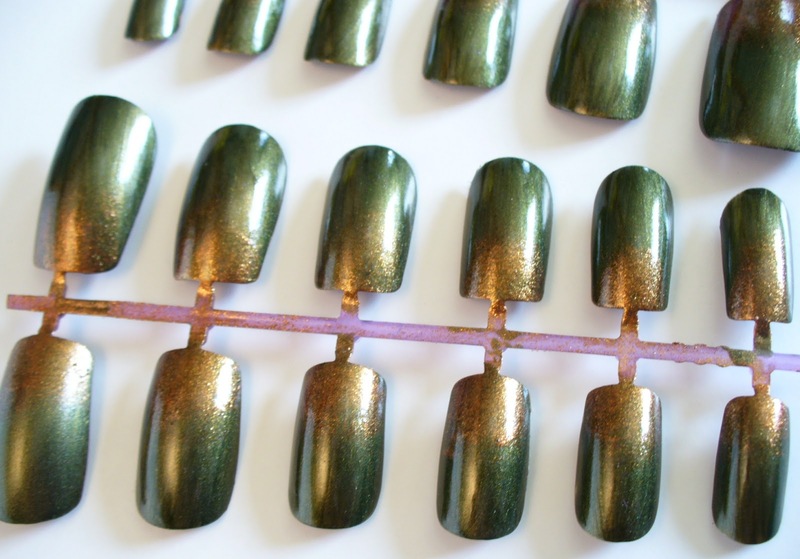 Dark rich greens blend into a sparkly bronze! So simple, yet seasonal! 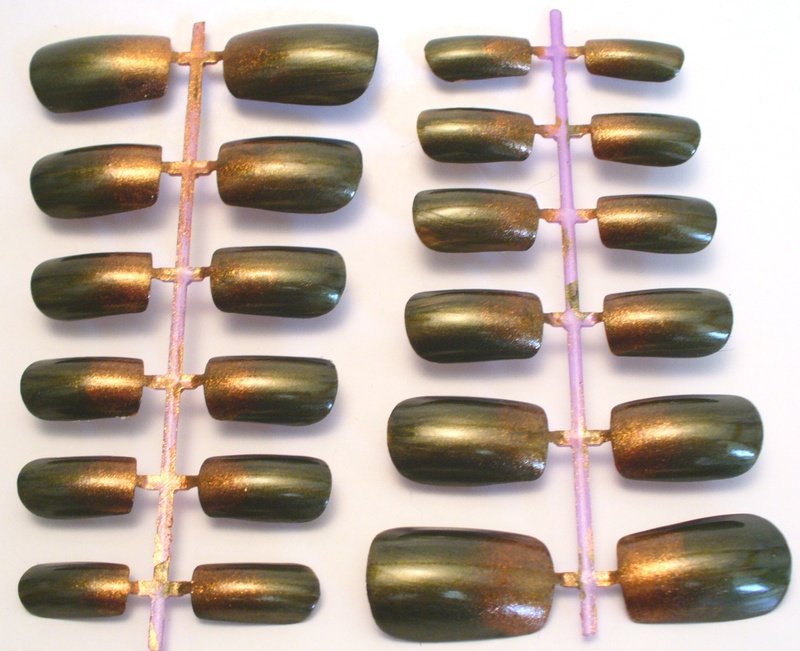 This gradient manicure set is available on my Etsy store.